In some cases the relay is inside the controller. You can opening the unit up and replace the relay though it takes some soldering on the circuit board and finding a replacement relay. Or simply get a replacement from Amazon for about $270 to $370 depending on the model of your car. The dealer or repair garage will charge about $650 to $850 for the same job (parts and labor). If the vehicle is equipped with a traction control system it uses a different ABS computer then non-traction controlled models which are not interchangeable. On some cars the controller will need to be reprogrammed in which case there will be in the instructions with the replacement unit. 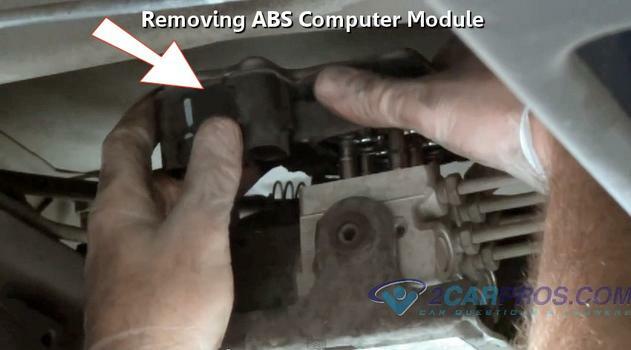 Before we begin, you will need to locate the module which is usually under the hood in the engine compartment or on the frame rail on the driver’s side. Control modules may vary in appearances but follow the same steps. Watch the video below to get an idea of what you are in for. Then continue with the guide to gain additional tips and updated information. 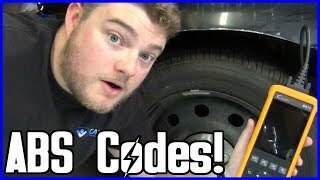 You may need to jack the car up to replace a control module and we prefer you learn how to do it correctly while using jack stands. Start by disconnecting the battery from the negative cable. 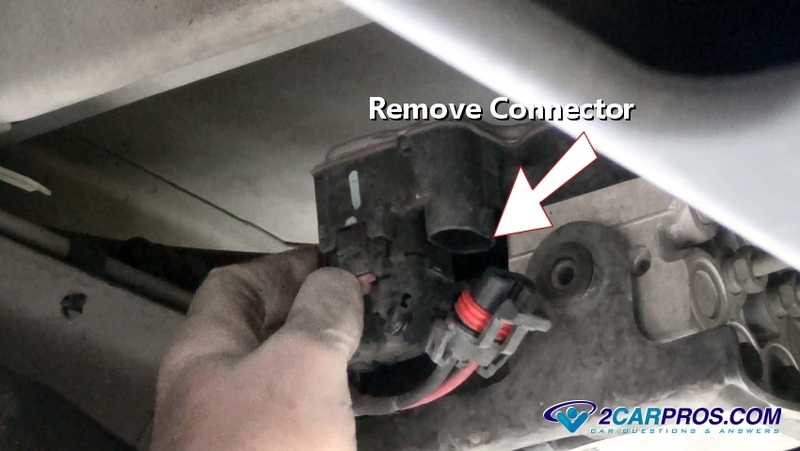 Release the electrical connectors from the unit by pushing the safety clips using a small screwdriver. One connector will be for the main power and ground for the unit, (large wires) while the opposite connector will be sensor inputs and data bus wiring to the main PCM computer which controls when the warning light comes on. The weather packing or seal can make it a little difficult to remove the connectors. Wiggle them gently as you pull to remove them from the module. There will probably be four or more Torx head (size 20), 8mm or 10mm bolts to remove the controller from the pump motor. 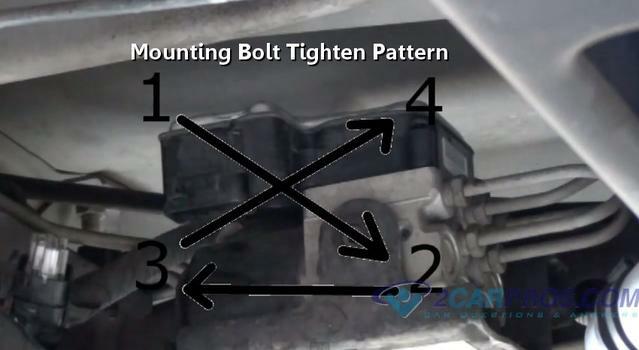 These bolts can be little tough to get to if the module is under the vehicle like this one. In this case use a 1/4 inch drive ratchet because its smaller and easier to maneuver. This operation is much easier when the controller is under the hood. Make sure the controller is clean and dry. Gently remove the module by lifting it straight up from the valve assembly. It might be a little stuck because of the weather seal used to keep moisture out. Use a small screwdriver to gently pry and loosen the seal to separate it. After the failed unit has been removed, match the old part to the new replacement unit. They should be an identical match. 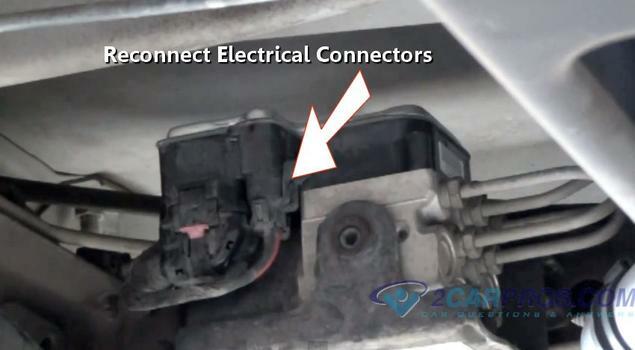 Be sure to count the number of electrical pins in each connector because there are minor variations according to what options your car has such as traction control. 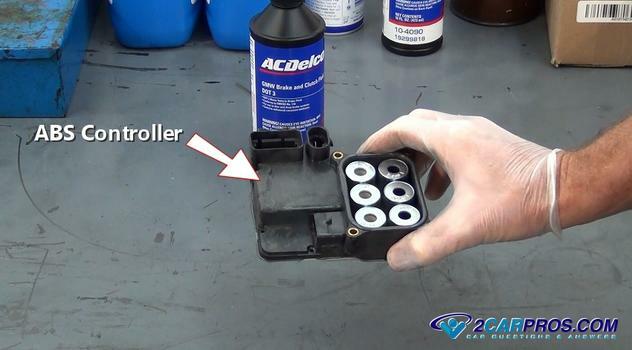 Next, be sure the pump motor is clean and free from dirt before installing the new module. 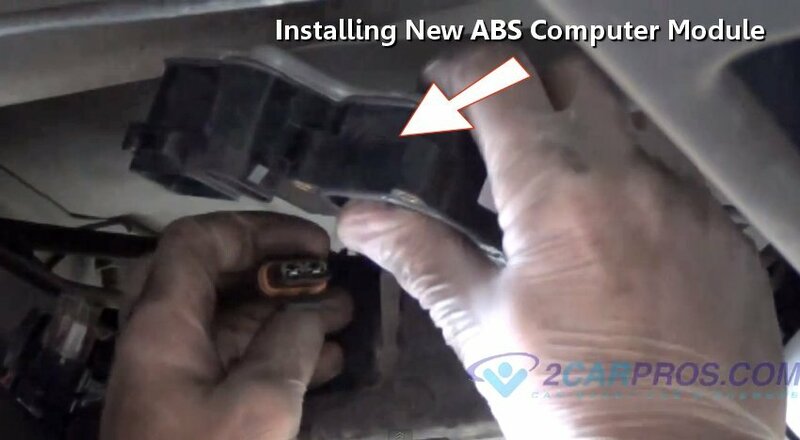 Install the new unit and ensure it sits flush and seals completely onto the valve assembly. This can take some extra effort because the valve cores need to fit through the module. After the unit is securely in place, reinstall the mounting bolts and tighten in an "X" pattern to mount the unit squarely into the pump and valve. This will ensure the proper operation of the coils over the valve cores. 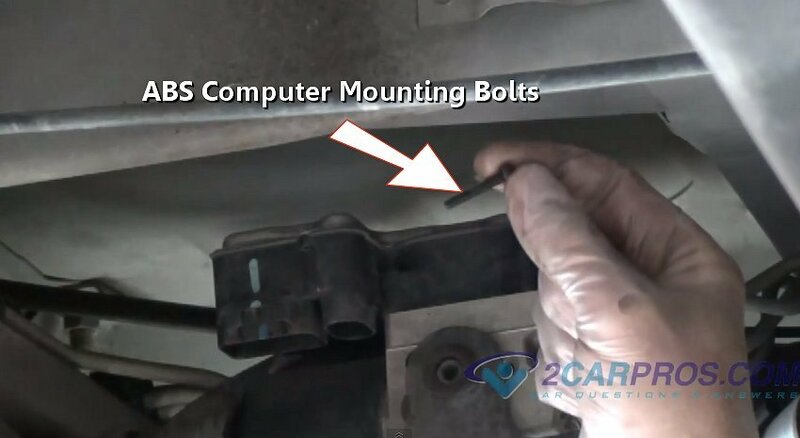 Once all the mounting bolts are tight make sure the connectors are clean from dirt and grime. Reconnect the electrical connectors back onto the valve assembly. 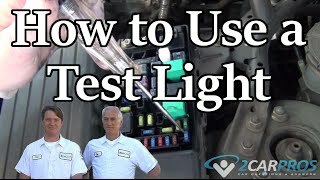 Reconnect the negative battery cable and start the car. The warning light should go off shortly after the engine is running or after you have driven the car for a short time.